Our extensive range of collection from cabinets, wardrobe, bookcases, sideboards, various tables, chairs (sofa), beds, and small items such as chest, coffee tables, mirror frames, etc. Garden (outdoor) furnitures are made only for special order and design. Custom order, ie. your own drawing or special sizes of furniture, are made along with current normal order, there is no restriction on minimal order. Rattan and other kind of wood (aside from Reclaimed Teak) will be made by other company in our close supervision. We understand that the market requirement between ountries are so vary, that is why Ajisaka also producing furniture based on customers own design or drawing. This feature will serve and supply customers with the product line that best fit to various customers market and need. Reclaimed or Recycled or Refurbished or Re-made or Rediscovered Teak material from the sources like old houses, bridges, old school building, barns are our main material in producing furniture. 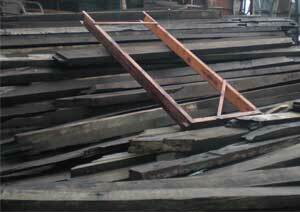 This Reclaimed Teak material always has its superior quality since the originality of the wood is selected from the best teak trees/logs and drained by nature after ages of year usage as buildings in Java. Ajisaka still expanding its own ability in sourcing the Reclaimed Teak material in all Indonesian teritory, we are proud to set out the warrant that the raw material for Recycled Teak will not used-up until the next generation. We do not have running production of capacity, but we have a vast network resources (in whole Indonesia). We have unimpeded movement to fulfil our new customer order outside current production capacity; sourcing materials, producing in handmade methode, warehousing finished product and delivering the goods to our new customers will be done swiftly. In other word, we will always has an open capacity for new customers. We have been around this business for a long time ("This is our life"). In doing so, we are not merely serving our buyer as customer, we need to do this business as closely as possible with our customers in order to established long term mutual and reciprocal understanding. The awareness of production due date, reliable quality and a reasonable/competitive prices would be reach automaticaly. Go through our website to get a clearer reference about Ajisaka and please do not hesitate to contact us for more information and discussion. 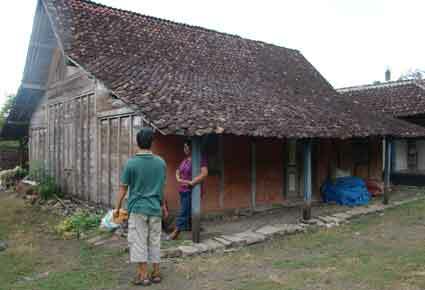 All Products is Certificated Indonesia Legal Wood .